For the past week, the British media has had a lot of fun hyping up the ratings war between ITV’s new drama Victoria and the BBC’s returning series Poldark (both of which, ironically, are produced by ITV-owned production company Mammoth Screen). But the truth is both sides can be pretty happy with their performances. 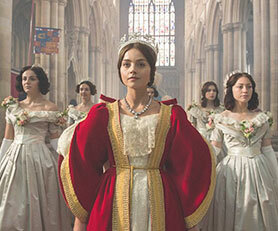 Victoria, produced by Mammoth for ITV and PBS in the US, debuted at 21.00 on Sunday August 28 with 5.7 million viewers. Keen to build on its momentum, ITV then scheduled the second episodes of the eight-parter on the following night, a bank holiday in the UK. This episode attracted 5.2 million, suggesting the show had done a good job of retaining the audience’s interest. The direct clash between the two shows came the following week, when they were scheduled against each other at 21.00 on Sunday September 4. In this slot, Victoria secured 4.8 million viewers and then picked up a further 400,000 in a second showing an hour later on ITV+1. Poldark, meanwhile, attracted 5.1 million viewers to what was the first episode of its second series. Different media outlets have interpreted these figures in different ways. For some, it has been an opportunity to attack Poldark by saying a) it was beaten by Victoria (with its amalgamated 5.2 million figure) and b) this year’s Poldark launch was weaker than last year’s, which attracted 6.9 million. However, neither of these interpretations should take away from the fact that it was a good opening for Poldark. The only meaningful comparison between the two will come after 14 to 28 days when we begin to get a sense of time-shifted viewing. By then, we’ll also have a clearer idea of whether Victoria can sustain its ratings. Good news for both broadcasters is that the critics have praised the two shows. Both have scored 8.4 on IMDb, putting them at the upper end of audience approval ratings. Looking to the long-term, the Victoria vs Poldark battle is likely to become a pretty permanent feature on the UK drama scene. Neither broadcaster wants to give up the 21.00 Sunday-night slot to the other but both have plans to run and run with their respective series. 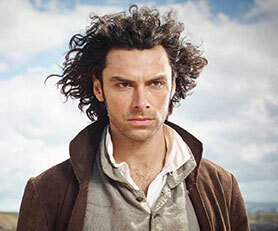 Poldark has already been commissioned for a third season and could easily run for five or six. ITV is also envisaging a similar life span for Victoria. Congratulations are of course due to Mammoth Screen for pulling off a remarkable feat. And to ITV, which gets to distribute both shows to the international market (it has just licensed Victoria to ITV Choice in Asia and the Middle East). It’s also still something of a novelty for female screenwriters to run primetime dramas – so it’s a positive sign that these shows are penned by Daisy Goodwin (Victoria) and Debbie Horsfield (Poldark). FMI has also reported strong interest among buyers. Broadcasters that have already picked the show up include MNET (Pan-Africa), HBO (Pan-CEE), BETV in Belgium, OTE TV in Greece, 365 in Iceland, Sky in New Zealand and Hot in Israel. Nordic SVoD platform C More, which belongs to Sweden’s TV4 Group, has also acquired the series. 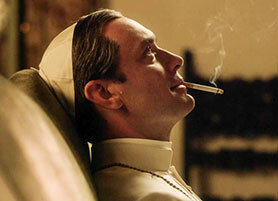 As part of the latter deal, The Young Pope will also air on TV4’s free-to-air channel in Sweden. As for the partners in the show, Sky Atlantic will air it across its territories from October 27. One of the most-talked about programmes of the last couple of years has been Netflix’s Pablo Escobar drama series Narcos – a double winner at the 2015 C21 International Drama Awards. This week, Netflix announced it had renewed the show for third and fourth seasons. 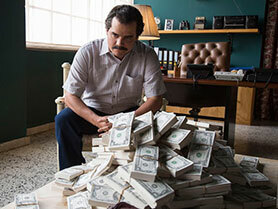 It’s lucky that the creators called the show Narcos rather than Escobar – because the new series will follow the Medellin cartel after the death of the Colombian drug lord in 1993. As we’ve noted on several occasions, Netflix doesn’t release audience figures – so it’s difficult to know how well the Spanish-language show does on the platform. However, a deal between Netflix and Univision means the show is also due to air on the US Hispanic network in the near future, so it should soon be possible to get a perspective on its appeal. Interestingly, Netflix and Univision are also partnering a series called El Chapo, which is based on the life of Mexican drug lord Joaquin Guzmán. In the US, this series will air on UniMás in 2017 before appearing on Netflix. Outside the US, the show will make its debut on the streamer. It’s been evident in recent times that there is a strong audience in the US for scripted series that place black actors at the centre of the story (Empire and Power being a couple of the most recent successes). There’s more evidence of this from a couple of newly launched shows. 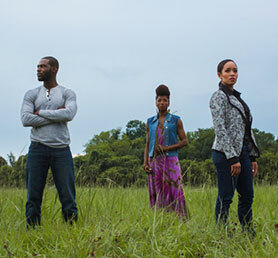 The first is Queen Sugar, which has just debuted on OWN. Following the same pattern as fellow OWN drama Greenleaf, the Tuesday and Wednesday roll-out of Queen Sugar drew a healthy 2.42 million viewers. With The Haves and the Have Nots also doing well on OWN, the channel’s drama output is currently firing on all cylinders. 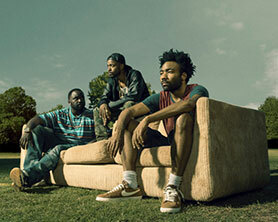 More good news for the black creative community has been the early response to Community star and rapper Donald Glover’s comedy Atlanta, which has just launched on FX. Set in the world of local hip hop, the show has been warmly received by critics and secured a promising 1.1 million viewers in its 22.00 slot. With an 8.9 rating on IMDB, Atlanta could shape up as one of the year’s surprise critical hits, though there was some grumbling among audiences that it was scheduled directly against the launch of Queen Sugar.